Google recently admitted its lapse in encouraging developers to use white color in their apps until date but is now correcting this error by itself taking the first step and adding “dark theme” to all of its apps – one at a time. 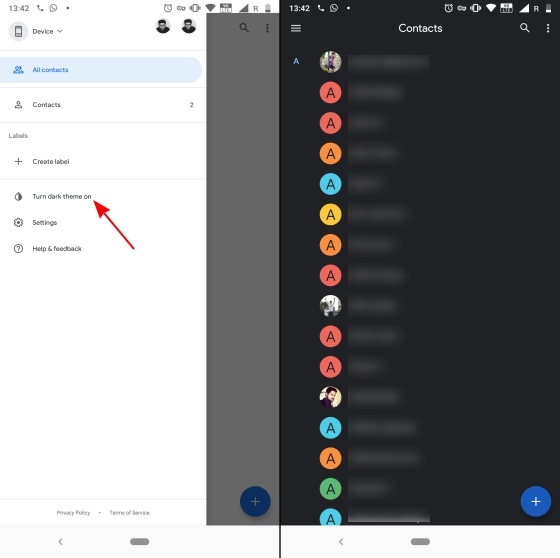 The process to enable the ‘dark theme’ in Google Contacts is pretty simple as you don’t need to jump into or scour through any settings. You only need to open the hamburger menu on the left and tap the new ‘Turn dark theme on’ option. Once you have tapped it, the whole UI goes to a dark grey instantly, with pastel color contact pictures that I adore. If you do not see the dark theme option right after installing the app, just hop into the Settings and ‘Force Close’ the app and re-open it. This should do the trick and the dark theme will become available for you. 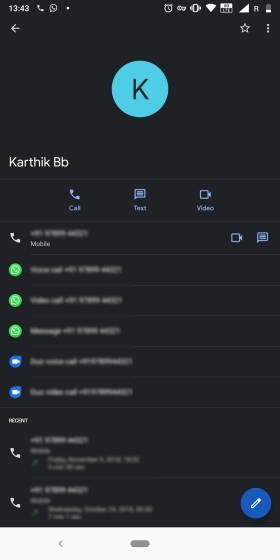 As for when you jump into any of these contacts, the pastel blue color of the icons goes well with the overall dark theme, but there’s one massive issue. 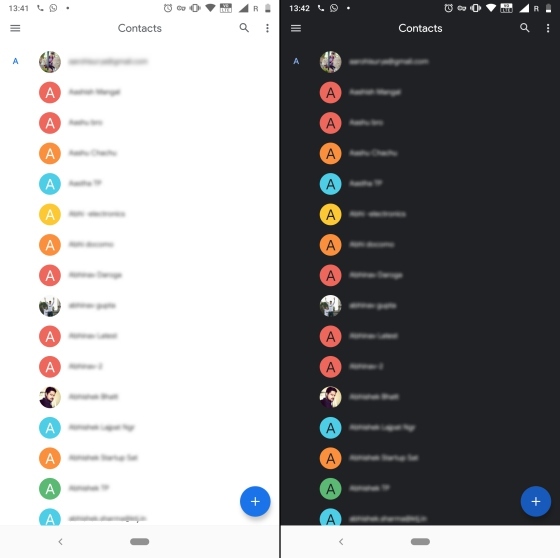 The Phone app is still to get the dark mode and you’ll jump straight to a bright white screen if you choose to call someone. 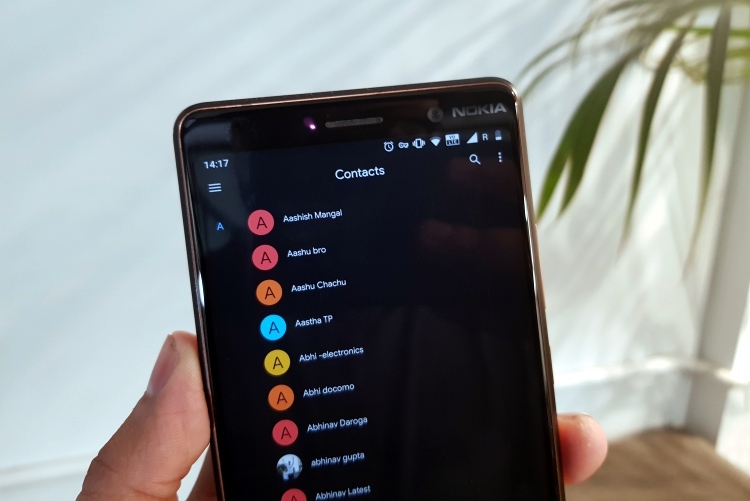 The Contacts app with dark mode is steadily rolling out to everyone, but if you would like to try it out right away then download the latest v3.2 APK from APK Mirror. And, tell us your thoughts on it in the comments down below.